Great metal design clock made in Italy. 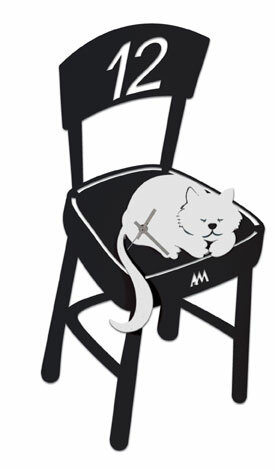 Funky clock set as a black chair with a white cat sitting on it. Size is a 51cm high and 26cm wide. Requires 1 AA battery (not included).